We are excited to announce our new news site, ecocitiesemerging.org. 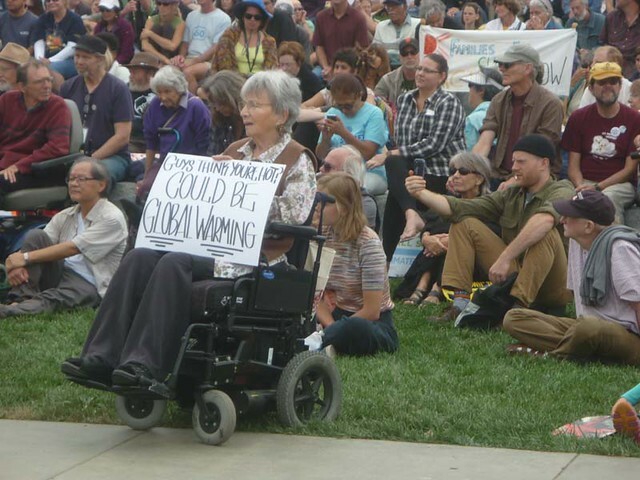 The new blog is a comprehensive portal for news, calls to action, tools, and knowledge of Ecocities. Thanks for being an Ecocitizen! 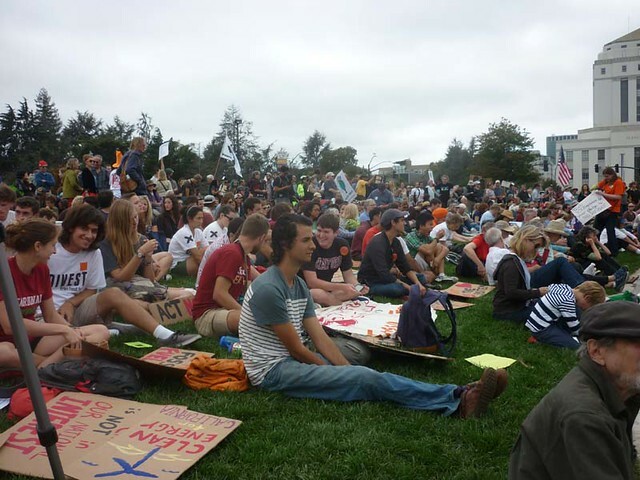 A socio-cultural feature of ecocities is that they support a healthy and equitable economy. 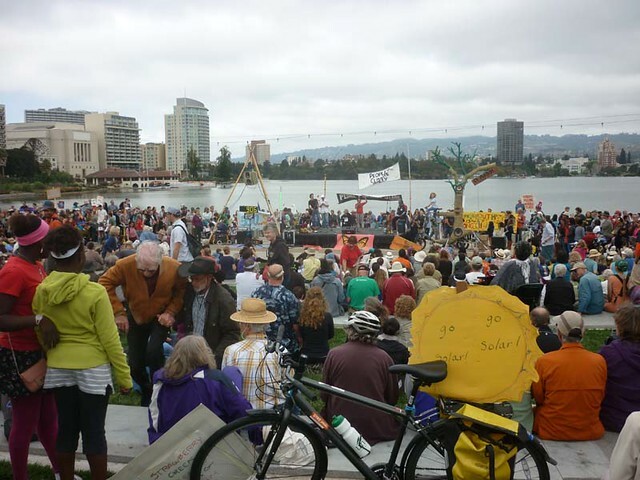 The International Ecocity Framework and Standards (IEFS) identifies that the city’s economy “consistently favors economic activities that reduce harm and positively benefit the environment and human health and support a high level of local and equitable employment options” (www.ecocitystandards.org). Whereas many cities focus primarily on economic growth as a means to achieve prosperity, research shows that equity is more strongly correlated with health and social improvement (Wilkinson and Pickett 2009). This is particularly true for developed economies where most of the population’s basic needs for food and shelter are already met. Yet, even among developing economies, those that achieve a more equitable distribution of wealth and invest in social services, including education, achieve higher levels of development while simultaneously keeping their demand on nature’s services low. Countries such as Cuba and Ecuador obtain similar longevity and literacy levels as the USA, but at a fraction of energy and materials consumption (Moore and Rees 2013). Germany and Japan surpass the USA in terms of quality of life (e.g., human health and social wellbeing) while simultaneously consuming less (Moore 2013; Moore and Rees 2013; Wilkinson and Pickett 2009). Not only are these countries more efficient in their use of resources, they also have lower per capita ecological footprints. An ecological footprint refers to the amount of land and sea area required to support a specified population at their current levels of affluence and technology (Wackernagel and Rees 1996). Indeed, populations in Cuba and Ecuador live within global ecological carrying capacity as measured by their ecological footprint (WWF 2009). The World Commission on Environment and Development acknowledges that “rapid growth combined with deteriorating income distribution may be worse than slower growth combined with redistribution in favour of the poor” (WCED 1987, 24). Unfortunately, rapid growth with deteriorating income distribution has been the dominant trend for over forty years, and today many societies are succeeding in terms of material growth and failing in terms of social health (Wilkinson and Pickett 2009). Ecocities support economic activities that reduce harm and positively contribute to both environmental and human health. This includes efforts to reduce emissions to air and atmosphere from the combustion of fossil fuels, avoiding the use of toxic chemicals applied to soils or discharged to receiving waters where they can bio-accumulate in animals and plants, and supporting locally and organically produced foods and renewable energy sources. Ecocities also support local and equitable employment options that are integrated within the design of the city. For example, the layout of land uses as well as the city’s policy framework play an important role in: a) making jobs and housing accessible and b) ensuring that companies comply with environmental protection legislation. 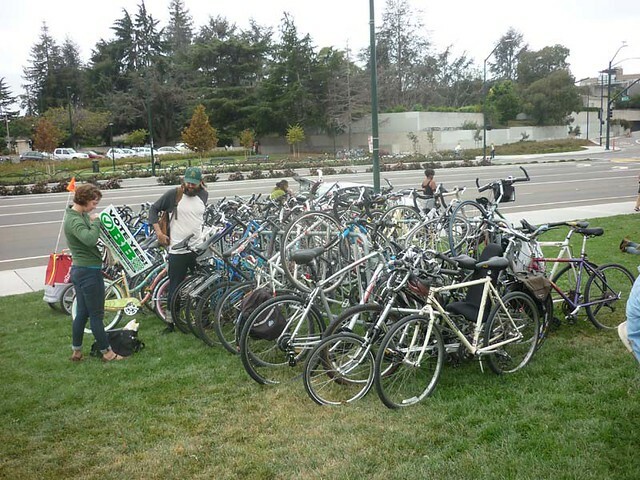 This approach sets the foundation for “green jobs” and “ecological-economic development” (www.ecocitystandards.org). However, the city acting alone can only go so far. A supportive framework at senior government levels (e.g. provincial, state, national) is also important. In our globally integrated economy, the implications of national government policies and international trade agreements play a determining role in the policies local governments can enact. 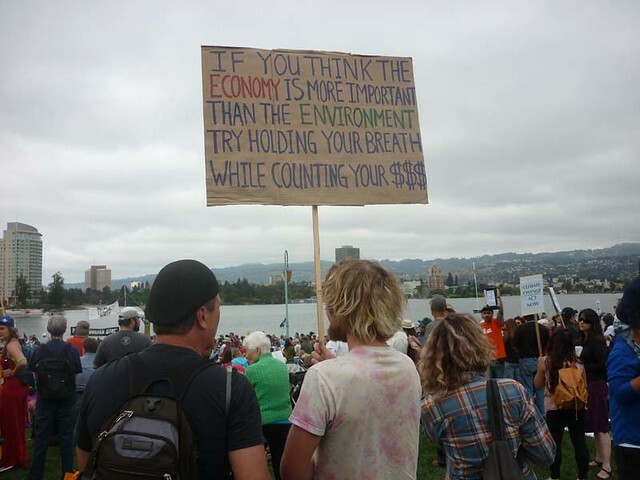 This is particularly true with regard to efforts by cities to advance sustainable modes of production and consumption. In North America, the Urban Sustainability Directors Network (http://usdn.org/home) comprising local government staff working to advance sustainability in over 100 cities is addressing this important topic. A recent workshop hosted in Eugene Oregon (http://scorai.org/eugene-2014/) by the Urban Sustainability Directors Network in collaboration with the Sustainable Production and Consumption Action Research Initiative (http://scorai.org/ ) identified the schism between i) locally focused community economic development efforts that advance equitable and sustainable economies and ii) globally focused national economic strategies that perpetuate economic growth without careful attention to who benefits and pays as a result of their implementation. Stay tuned to their research to find out whether a healthy and equitable economy for cities is possible within this international context. Invest in your country’s human capital. Moore, Jennie. 2013. Getting Serious About Sustainability: Exploring the Potential for One-Planet Living in Vancouver. Dissertation in Partial Fulfillment of the Degree of Doctor of Philosophy. Vancouver BC: School of Community and Regional Planning, University of British Columbia. Moore, Jennie and W.E. Rees. 2013. Getting to One-Planet Living in Linda Starke ed., State of the World 2013: Is Sustainability Still Possible? Washington DC: Island Press, pp. 39-50. Wackernagel, Mathis and William E. Rees. 1996. Our Ecological Footprint: Reducing Human Impact on the Earth. Gabrioloa BC: New Society Publishers. Wilkinson, Richard and Kate Pickett. 2009. 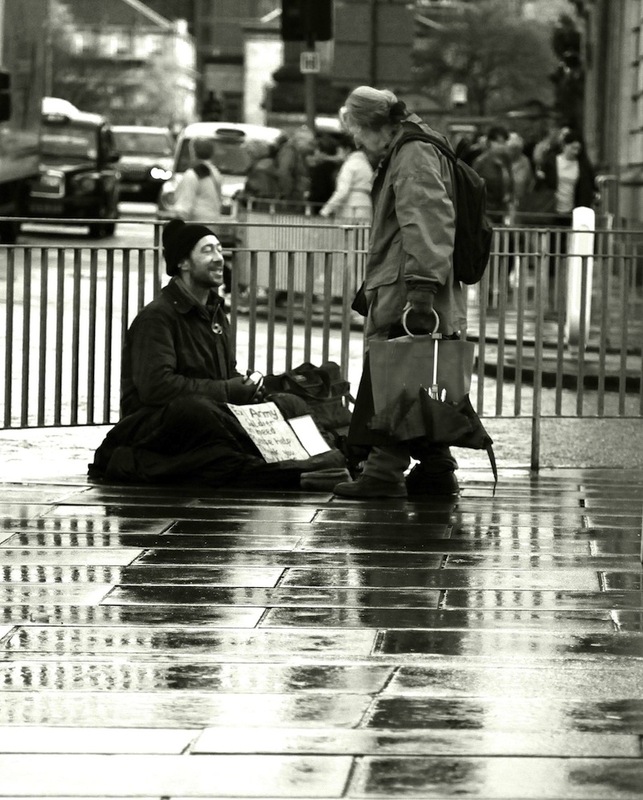 The Spirit Level: Why Greater Equality Makes Societies Stronger. New York: Bloomsbury Press. Worldwide Fund for Nature. 2009. Living Planet Report. Gland, Switzerland: World Wide Fund for Nature. The 20th United Nations Conference of Parties (COP) is taking place in Lima this week, with Ecocity Builders in attendance. 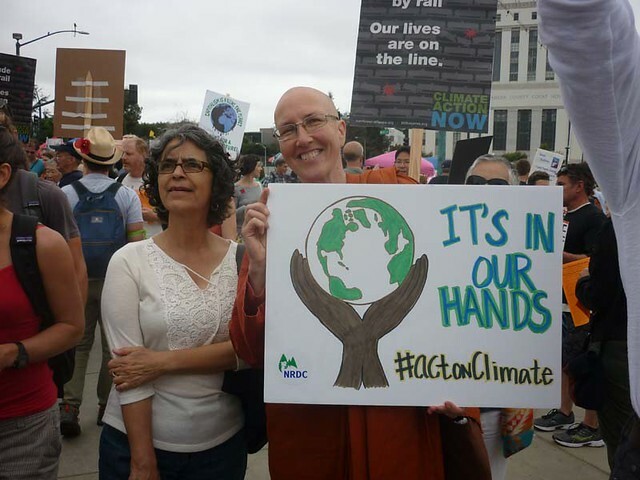 Lima is an obvious choice to host this gathering focused on solutions to climate change. Lima is the 2nd largest desert city, right behind Cairo, and Peru is estimated to be the third-worst affected country by climate change, after Honduras and Bangladesh, according to the Tyndall Centre for Climate Change Research. Lima lies in the great rain shadow of Peru, sandwiched between the Andes and the sea. The area receives less than a third of an inch of rainfall per year. The bulk of Lima’s municipal water comes from rivers fed by Andean glacier melt. But over the past decade the glaciers have all but disappeared and mountain rainfall has declined as well. Lima is poised on a precipice of a frightening future. Over the edge is imminent water shortage. City officials are looking for alternatives with increasing urgency. We’re no stranger to drought here in California. Despite the plentiful early winter rain, cities, agriculture and industry in the lower half of the state are still threatened with running dry. While bad luck and climate change can be blamed for the shortages, there’s another human villain behind the misfortune: bad planning. Problems arise when cities don’t take into account the resource flows of the ecosystems they exist in. 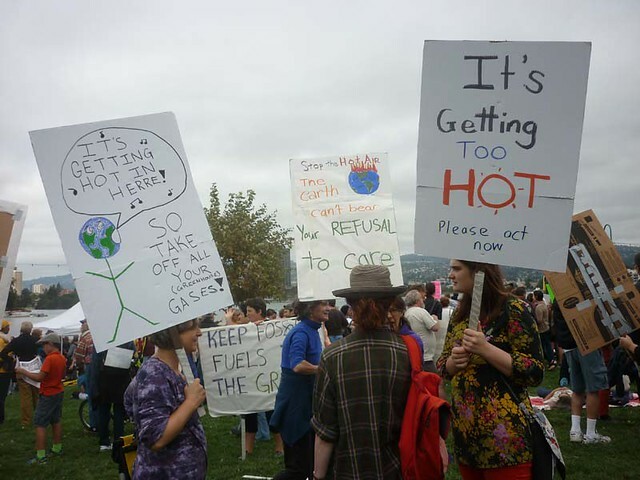 Problems arise when humans put their plans and values above the basic facts of the environment that needs to support them. 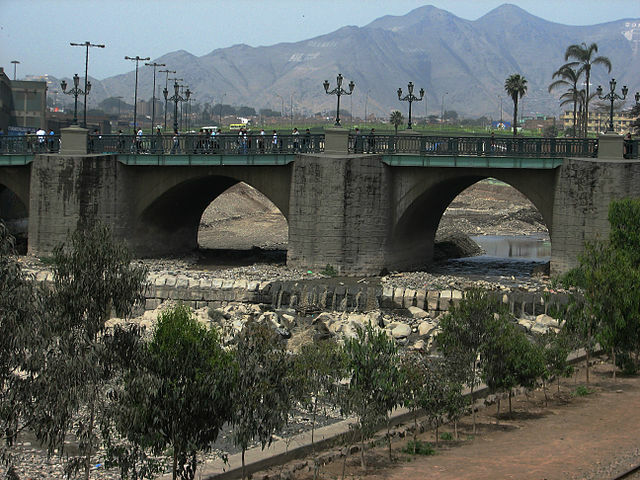 Lima city bridge over an almost-dry Río Rímac. Photo by AgainErick, Wikimedia Commons. Peru, with its mountains and rainforest, is rich in hydrological resources. But 98% of the Andes’ liquid bounty, including the source of the Amazon river, flows east into the Amazon basin. Why, then, does two-thirds of Peru’s 30 million inhabitants live on the arid Pacific coast? “This mismatch began 500 years ago with the arrival of the Spaniards,” said José Salazar, president of urban water regulator, Sunass, in The Independent (2011). The massive empires of Incas and other pre-Columbian civilizations built their major cities near water sources in the Andes. But because they wanted to be closer to Spain the conquistadors founded their capital on the coast: “Today, we are picking up the bill for this colonial legacy,” Salazar concluded. Unfortunately we are left with the legacy of decisions–both deliberate and unintentional–made be previous generations. Lima, a city of 9 million, shouldn’t have been built in the 2nd driest desert in the world. But we have to work with what we’ve got. The best solutions are often the simplest. In that spirit, here are a few basic principles and tools that can help water-strapped cities survive the next decades. 1. Reduce. It comes before reuse and recycle for a reason! Reducing our need is the cheapest and easiest option. In fact, it requires you to do LESS, in some cases. Other investments such as removing thirsty vegetation, fixing leaks, and replacing old fixtures are cost saving in the long run. Responsibility isn’t all on the average citizen: big water users like industry and agriculture need to pitch in updating their processes to reduce water consumption, too. The poorest population of the city can teach the rest of us valuable lessons. Residents of the slums, shanty towns, and other informal peripheries of cities like Lima use dramatically less resources than the more affluent areas. Materials are more efficiently used and better recycled, and water is treated as the precious resource it is. 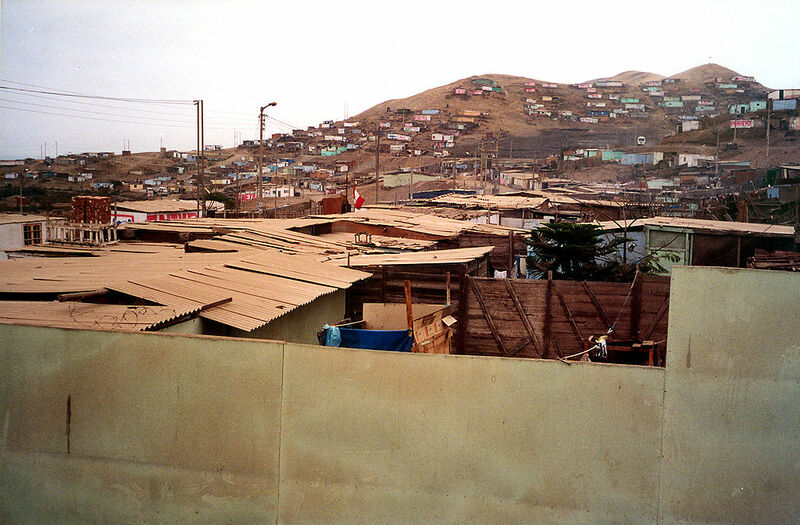 One of Lima’s informal settlements on the outskirts of town. Photo by Håkan Svensson, Wikimedia Commons. 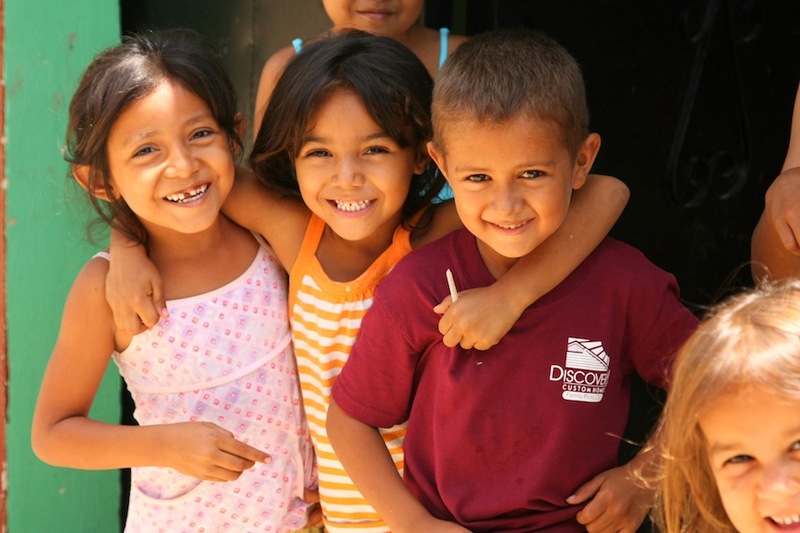 Unfortunately, the poorest of Lima (and elsewhere) don’t have a choice to conserve. One million of Lima’s 9 million residents don’t have access to treated water, instead paying for water delivered from privately owned trucks at enormous mark-up (watch this video to learn why the poor pay more for everything). The great challenge we face is elevating and equalizing the quality of life for all, while avoiding the adoption of upper-class waste and consumerism that often occurs with the process. 2. Decentralizing/diversifying water sources may have a great impact on conservation. Rain catchment and grey water systems at the parcel or neighborhood level reduce strain on city infrastructure and can take advantage of natural water (primarily rain and other atmospheric moisture). David Sedlak, a professor of civil and environmental engineering at U.C. Berkeley and author of “Water 4.0,” traces the expectation of controlled, centralized water distribution to the Roman era. The Roman’s aqueducts supplied their cities with abundant water carried from miles away. But the Roman model doesn’t make sense for large water-limited cities today (if it ever did, ecologically speaking). The millions of residents of today’s cities overburden single-source water systems, especially in times of drought. Unlike Lima, Los Angeles (another desert city) does get a fair amount of rain in the winter. Elmer Avenue, in a working-class neighborhood of East Los Angeles called Sun Valley, is a prototype for noded smart water management. Rain catchment systems, drought tolerant landscaping, and permeable surfaces collect and redistribute precious water at a hyper-local level, preventing floods and providing water between rains. 3. Learn from the past. Indigenous architecture has often evolved over generations to respond precisely to local conditions. The flat roofed adobe of the Americas regulates ambient temperature (both inside and out) and can be adapted to collect rainwater. The pitched roofs of European-inspired houses don’t make sense here as they are designed for northern climates to shrug off snow. Rethinking native materials and processes often conserves materials and energy over a building’s lifetime. 4. Innovate “dumb”. Low-tech water solutions abound. Warka Water and other projects that use mesh to capture atmospheric moisture and could potentially generate 25 gallons of drinking water per day. Moisture farms are well suited to Lima which, while short on rainfall, is very humid. Improved techniques for passive desalinization greenhouses could reduce water need for this thirsty sector. These ideas will likely be implemented in the places that need them most, like water-strapped Lima or California. But every settlement should take advantage of conserving technologies and approaches. 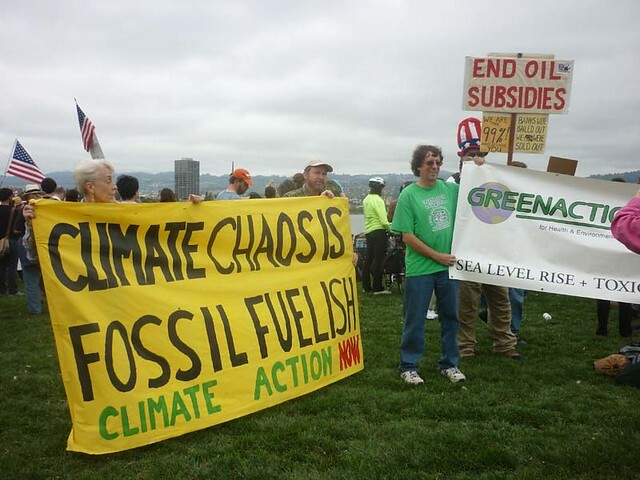 It is too easy to compartmentalize climate change, to see it happening as “elsewhere”. That is, until your city feels the impact. The truth is we are all living in ecosystems of resource limitations. We’re all stuck on this resilient, yet delicate, closed system of Mother Earth. 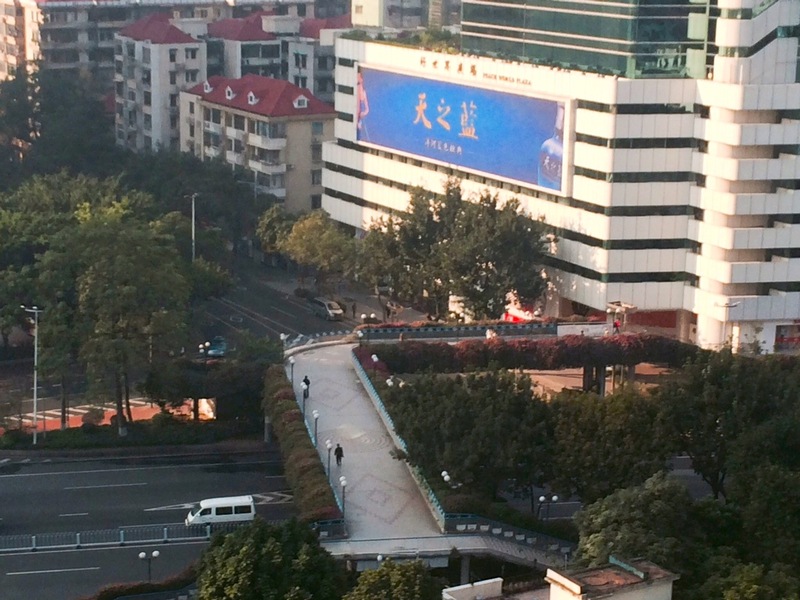 The Chinese national government has embraced the ecocity as a model for urban development. China is the third largest country by area and one of the most densely populated countries in the world, with a national population of 1.3 billion. China is also the world’s largest producer of greenhouse gas emissions due to the manufacture of consumable goods for export. China has instituted a one-child policy to keep its population growth in check. It has also adopted a circular economy policy that aims to reuse resources to reduce pollution and improve energy and materials efficiency. 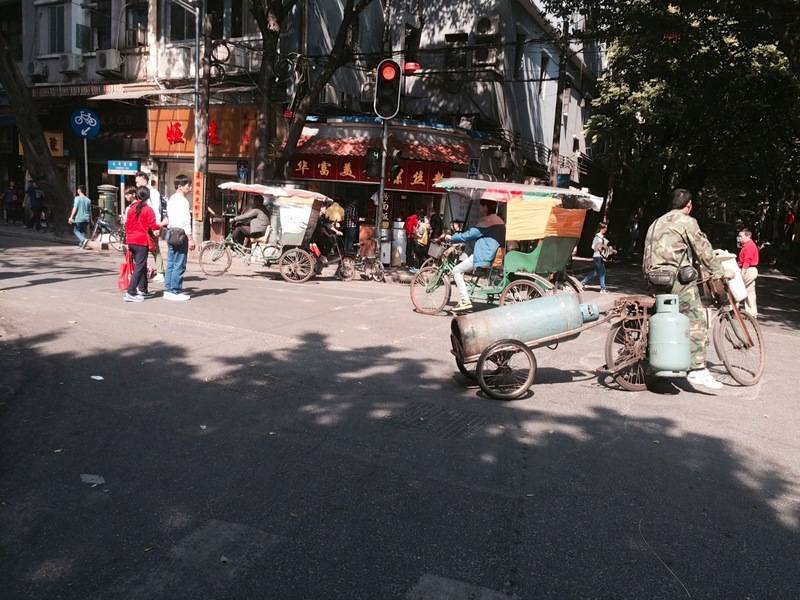 Nevertheless, many cities in China are plagued by pollution and traffic congestion problems. For example, Guangzhou is a bustling and prosperous Chinese metropolis with a population over 14 million people. It is situated in Guangdon Province, an open economic development zone that is home to several manufacturing industries supplying global export markets. The area has seen annual increases of greenhouse gas emissions at a rate of 10% per year for the last decade (Liu et al. 2014). Buildings in Guangzhou reach 100 stories. Everyone lives in some form of multi-unit residential dwelling, ranging from four-story walk-ups to large high-rise towers. 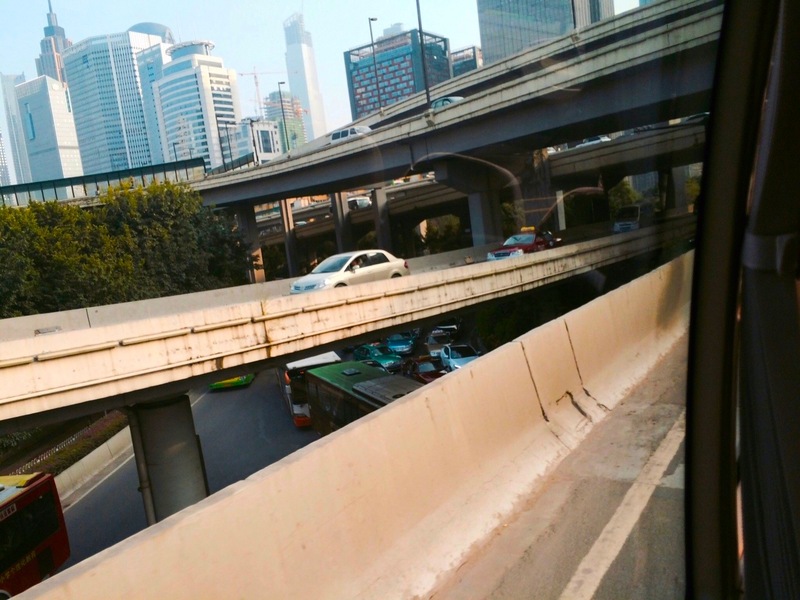 Despite achieving super-high density, complete with a rapid transportation subway system, the urban development pattern in Guangzhou is dominated by automobile traffic with six-lane streets and triple stacked roadways. This is an example of three dimensionality designed around automobile dependence. The city is often blanketed by smog, sourced from motor vehicle emissions. I had the good fortune to visit Guangzhou last week. The purpose of my visit was to learn more about the environmental pollution challenges this and other cities in Guangdong province face. High density, walkable villages surrounded by green abound at the outskirts of the city. For example, just north of the Guangzhou airport are the villages of: Shiputang, Guagancun, Shangzhou, Caibian, Leping Village, Yumin New Village, Chigantu, Liantancun, Gangzai, Gangwei and many more. Yet, even in the heart of this bustling, prosperous Chinese city, hints of ecocities emerging can be found. 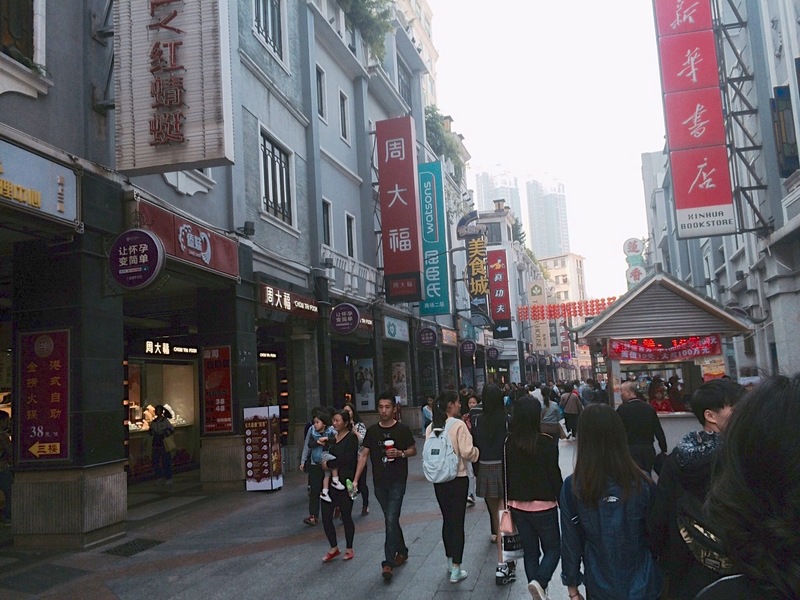 I took a walk through part of the Guangzhou central city and found several examples of narrow pedestrian streets with shopping on the main floor and residences above, reaching an average height of six stories. Trees and greenery at corner pocket parks added to the charm of these interstitial spaces. Most people travelled by foot, bicycle or some combination thereof. Curiously, the newer high rise developments on the main thoroughfares also follow a pattern of commercial at grade (and subsequent three to four stories) with residential (up to 85 stories) above. The pattern is the same, but the scale is much bigger. Most people in the newer development areas travel by bus or private automobile; nevertheless, elevated pedestrian walkways also enable people to move around freely by foot. Comparing these similar patterns of development at different scales provides a wonderful opportunity for reflection. In both the old and new development of Guangzhou, the same patterns of mixing commercial and residential uses within buildings exist. However, the streetscape in the new development is expansive. Ecocity development must work at a scale designed for mobility of the human body, not the car body. This is what enables access by proximity. 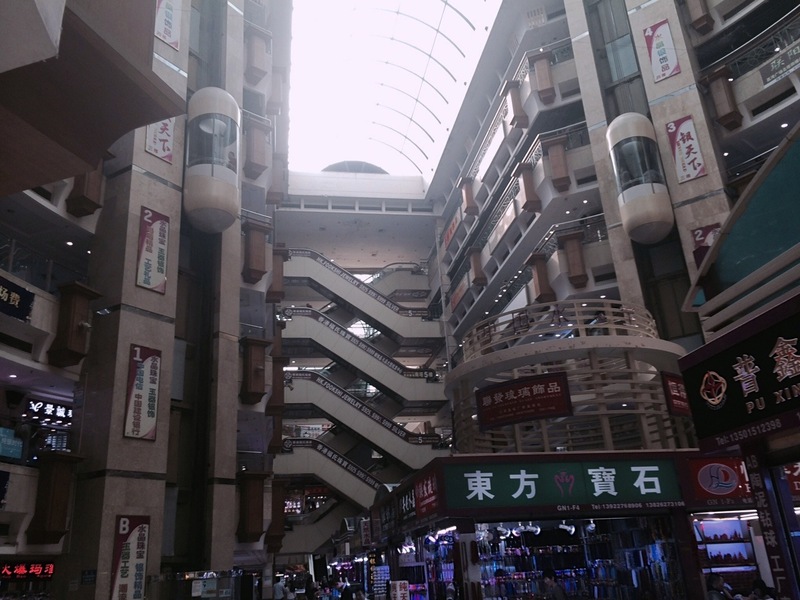 I found one exciting example of this approach at the Guangzhou Pearl Market. Can high rise development be designed such that the street scape remains pedestrian-oriented, at a small and intimate scale? Could different approaches to massing of buildings enable a more pedestrian-oriented environment without sacrificing density? Much research exploring these questions is currently underway and warrants further reflection and experimentation. Chunrong Liu, Yaoqiu Kuang, Ningsheng Huang, Xiuming Liu. 2014. An Empirical Research on Evaluation of Low-Carbon Economy in Guangdong Province, China: Based on “Production, Life and Environment” in Low Carbon Economy, 5: 139-52. What simple fix can save 3,320 lives a year? It’s only too common. A car along a four-lane road slows near a corner. The car behind it or next to it doesn’t understand why the vehicle in front has slowed. Perhaps the rear driver feels irritated and speeds up, swerving into the adjacent lane and passing the stopped car. It’s too late to see that the first vehicle has halted for a pedestrian crossing the street. Maybe the speeding car breaks in time, or passes before the pedestrian is hit. Unfortunately, sometimes it doesn’t. This tragedy occurred just this week in St. Paul, prompting Bill Lindeke to write a thoughtful article about the danger of 4 lane roads. Lindeke takes issue with the general consensus that these incidents are unavoidable and rare accidents. Neither statement is true. Vehicle incidents caused 145,000 injuries and 33,561 deaths in 2012, including 4,743 pedestrian deaths, reports the DOT. This is just a few thousand less deaths than were caused by breast cancer that same year. Traffic accidents are the second leading cause of injury-related death in the U.S. after accidental poisoning. It’s the first among ages 5-24. The DOT itself reports that, when properly implemented, road diets benefit pedestrians through “reduced crossing distance and midblock crossing locations, which account for more than 70 percent of pedestrian fatalities.” Road diets could save the lives of 3,320 pedestrians a year. So what are we waiting for? Suggestions of road re-design invariably stir up controversy, especially concerns over increased traffic, writes Lindeke. The problem with this reasoning is that there’s no such thing as a free street. Particularly in a walkable city, achieving a high traffic volume always come at a cost. In this case, the cost is increased accidents and far less safety for pedestrians, bicyclists, and people living in these urban neighborhoods. Isn’t the trade-off of 3,320 human lives worth an extra five minutes on your commute? Visualizing the real cost behind this issue is the only way to break the complacency and false security with driving that powers the status-quo on American streets. 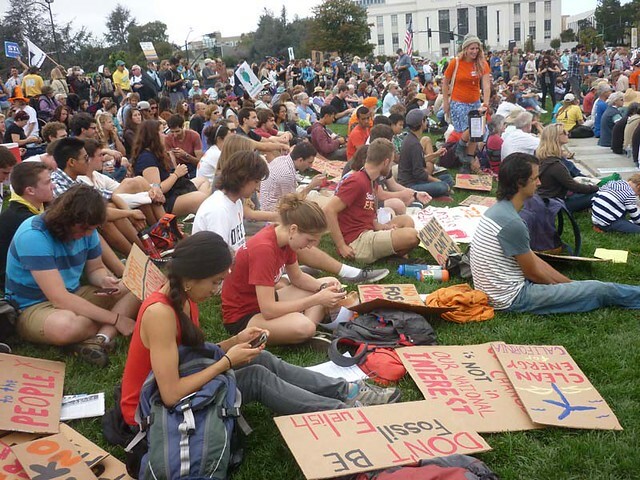 Yes, there was the big climate march in New York, the one that everyone has been talking about, except the mainstream media. 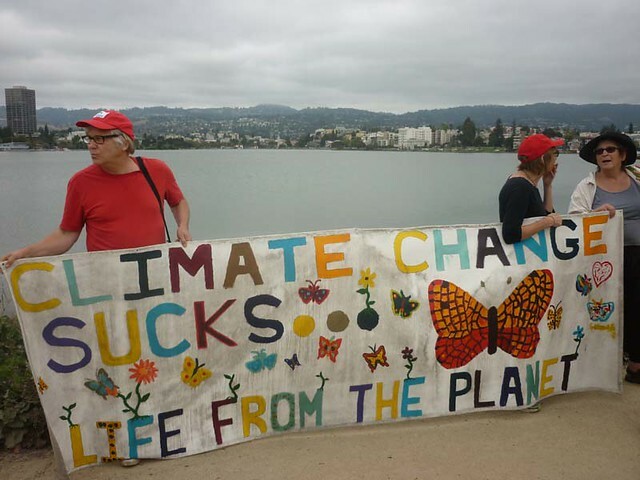 It was a fantastic success, with 400,000 people flocking to a place that is both the pulsing heart of the world’s most wasteful nation as well as the nerve center of the world’s governing body, to shout it from the rooftops that a critical mass of earthlings are tired of seeing their home planet trashed right in front of their eyes. But a good movement is like a human body or any other living organism: it can’t function with just a heart or a brain. If it is going to survive and thrive, there need to be a lot of other functioning organs or parts that can provide the kind of immunity and resilience required to make it long-term through a diverse and complex ecosystem. So to me, going to a rally 3000 miles west of the main march was like putting my finger on the movement’s wrist and checking its pulse. Should there be signs of vitality in such remote regions of this body, I knew that this uprising was meant for the long run. 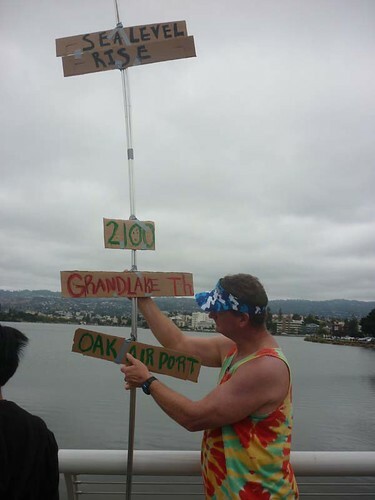 I knew right away that this would be a good day when — walking in along the lake’s shore with my sweetie and an old friend — my buddy Bill from 350 Bay Area came paddling up beside us, giving us his personal assessment of the rally’s health. 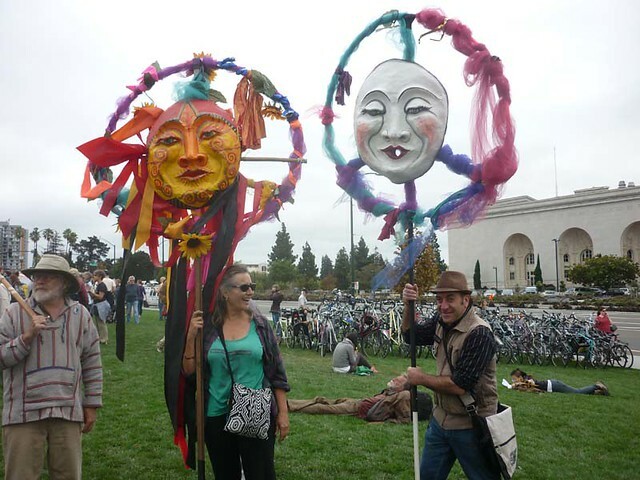 Meandering along the lake, we encountered beautiful hand-made banners and their designers. Getting these kinds of creative, sensitive, and intelligent statements was a clear sign that this organism was getting plenty of good oxygen. As we walked towards the stage, we were greeted by all kinds of diverse groups of happy people. 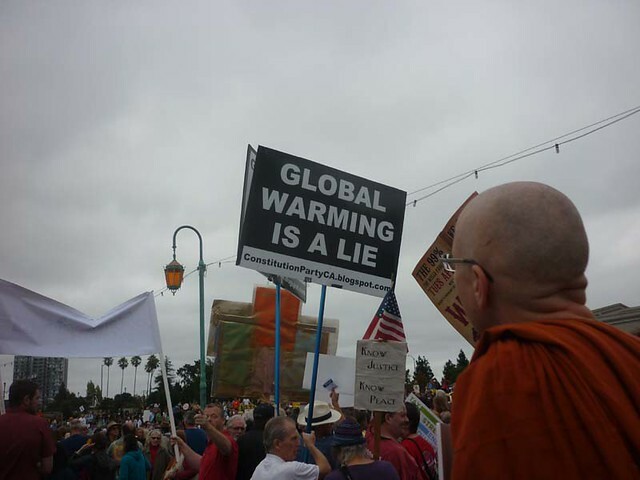 You always know that your rally’s blood pressure is in great shape when you see lots of smiling Buddhists. Moving deeper into the crowd though, we spotted a disturbance. Every functioning organism needs germs to help build up its immune system. 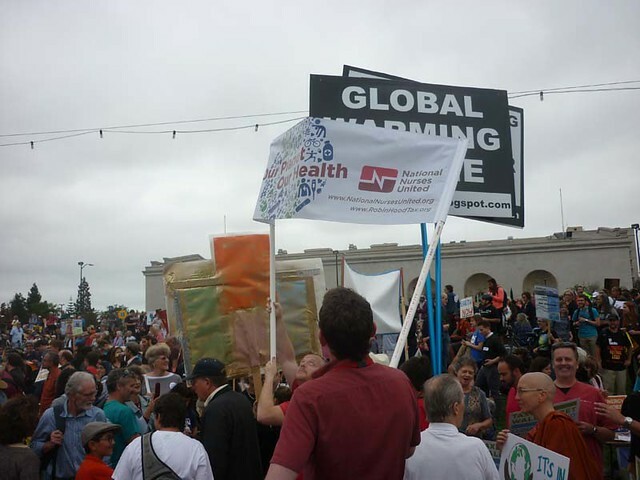 Before we knew what was happening, our collective organism had built up the perfect antibodies to deal with this virus, in the form of these two gentlemen from National Nurses United who attached themselves to the denier bug for the duration of the rally. We worked our way to the side of the stage, where Andrés Soto of Communities for a Better Environment was MC’ing the event. 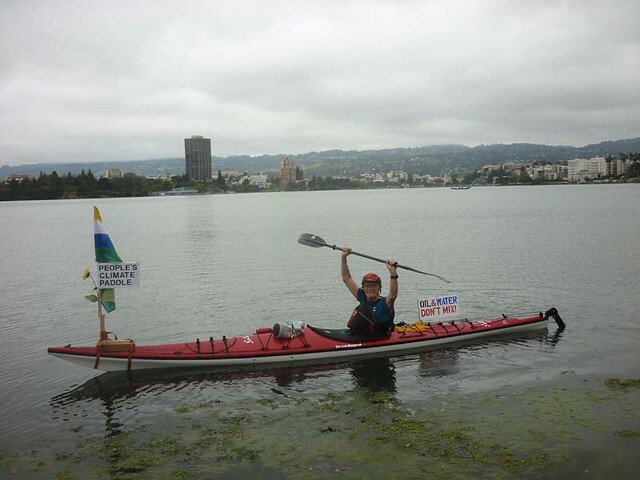 If Andrés, who has been one of the leading voices in the fight for climate justice and against the greedy polluters of Chevron, had decided to stay in California for the occasion, it meant that this was going to be a living breathing support system. 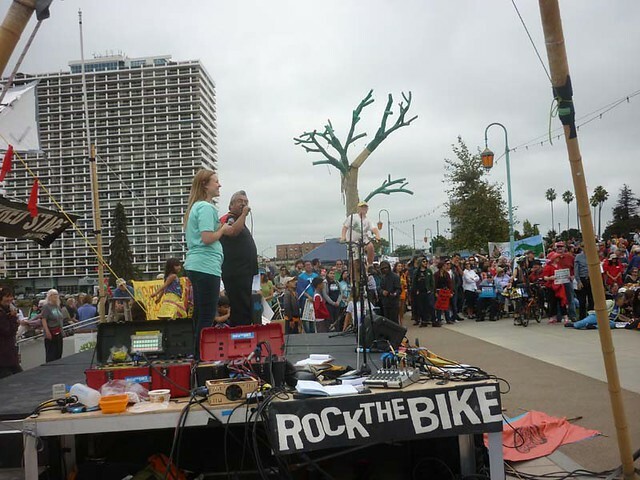 Not just living and breathing, but also pedaling, as the power for the stage was provided by the lungs of this organism, Rock the Bike. 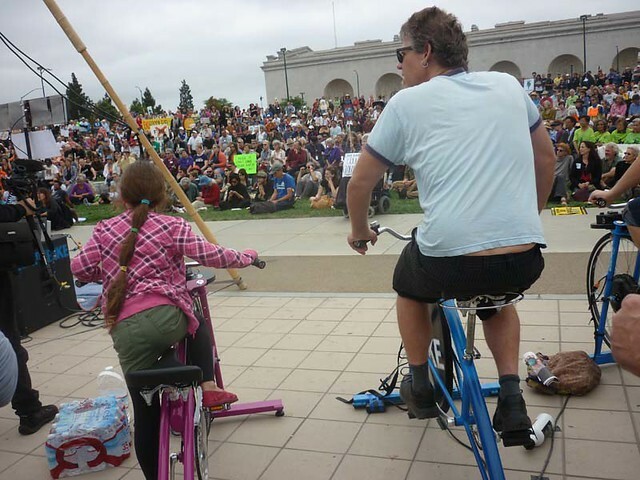 As soon as a bike became available, my buddy Johnny got to pedaling, unsolicited, to keep the peoples’ mics from going silent. A functioning support system run by an interdependent web of participating denizens. 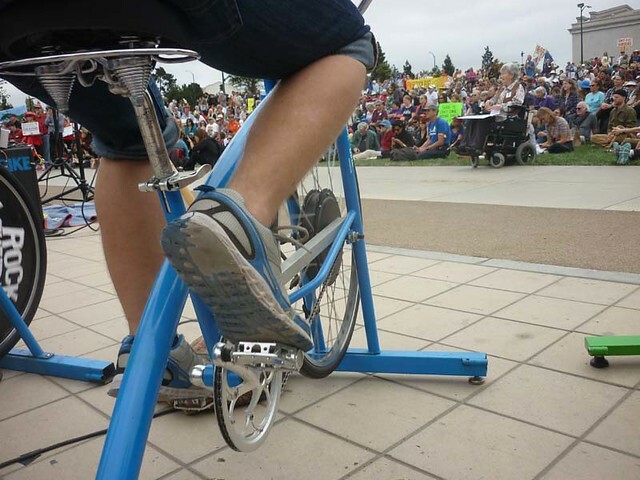 Bonus vision points of front row creativity for pedalers! We walked around the back to get a view of the whole organism. Great to see so many fresh cells. It wouldn’t be human if there weren’t some bad habits. Then again, the revolution will definitely not be televised this time around. It was a truly self-aware organism, calling playful attention to how unwholesome the entire foundation upon which modern life has been built really is. In short, it was a well balanced weaving together of strands and connecting of dots. Small and local enough to be resilient and supportive of the whole, but large enough to make an impact and stand on its own. And that’s important, because in the end, each other and our connection to this planetary organism we inhabit is all we’ve got. The project perfectly encompasses several core ecocity principles. 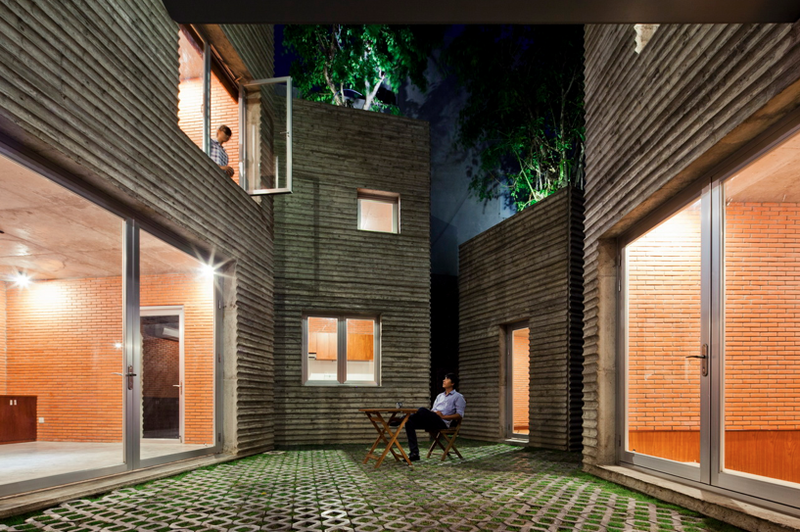 The compound is a single family home constructed of several blocks arranged around a central courtyard. Most remarkably, each of the five blocks are crowned by banyan trees. The trees were chosen for their above ground root structure. 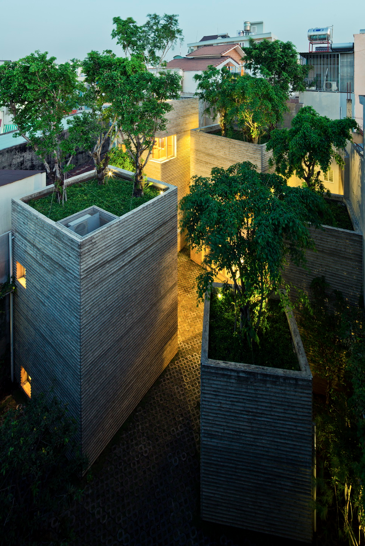 The trees are planted in 1.5 meters of soil and the roofs are designed to collect rainwater. Reinforced walls allow the structures to accommodate the weight of water and the growing trees. The compound provides an engaging irregular angled entrance to a courtyard paved in permeable tiles and grass. Each room opens to views of greenery and the building blocks are connected by shaded sky walks on the second floor. The rooms are oriented towards the communal spaces on the cool lower floors, including the courtyard, and blend the inside and outside environments. The architects used local and natural materials where possible to reduce the project’s carbon footprint and costs. The exterior walls are composed of in-situ concrete poured between bamboo lattice. 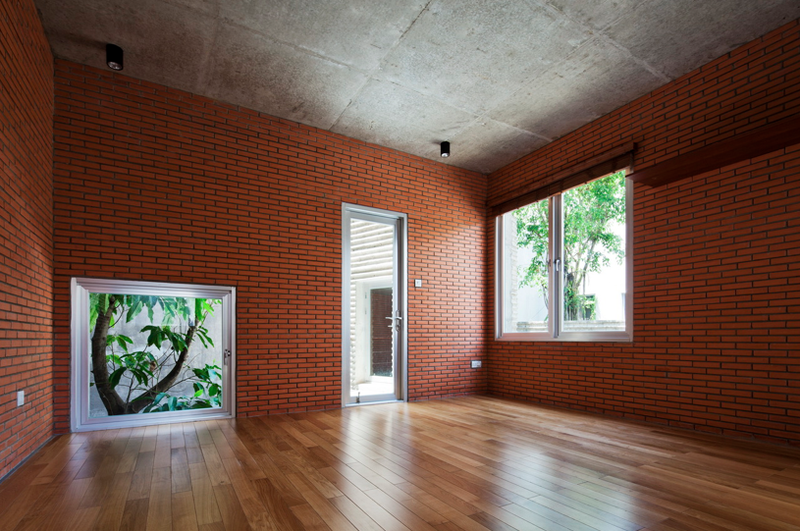 The interior walls are constructed from locally sourced brick. “House for Trees” was built with a budget of only 155,000 USD. If multiplied across the city, these tree-houses have the potential to reduce flooding, pollution, and ambient urban temperatures significantly.